Sadly, the answer is yes. Despite your attitude toward Twilight and its ilk of bloodsuckers, this trend toward the romantic vampire was inevitable. In the 1980’s vampire films were at an all time low. 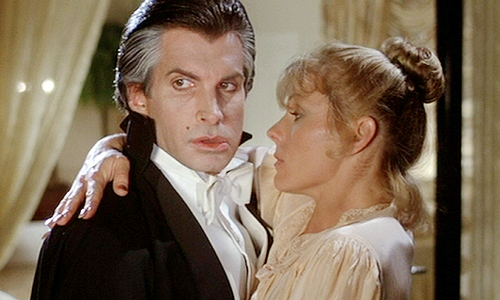 A comedy, Love at First Bite with George Hamilton, out grossed the serious remake of Dracula with Frank Langella. Love at First Bite, released April 1979, grossed $44 million. Dracula, released July 1979, only grossed $20 million. Vampires might be able to rise from the dead, but there was no saving poor box office results. The failure of Frank Langella’s Dracula signaled the end of the serious vampire movie. After all, how could these supernatural creatures compete with Jason Voorhees or Freddy Kruger? By all intents, the vampire film, and genre, should have never survived into the 80s. In 1985, two more vampire films were released. One film was another comedy: Once Bitten with Jim Carrey. The second was Fright Night. The box office results showed that a serious vampire movie could compete again. Once Bitten, released November 1985, only grossed $10 million. Fright Night, released August 1985, pulled in $25 million. 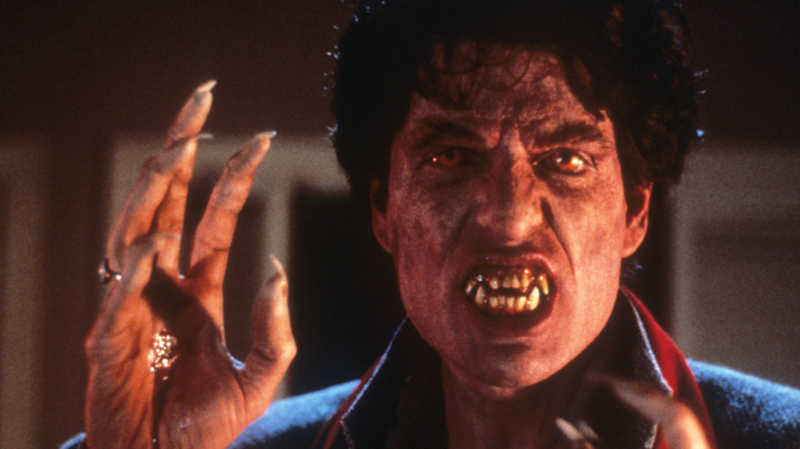 The secret to Fright Night’s success was a genre pastiche. It successfully mashed up the vampire film with the more popular teen horror flicks. Instead of a dated historic timeline, the movie existed in present day. Instead of stuffy older adults fighting the vampire, teens had to cope with the monster. Fright Night competed will with other horror films of the time. Look a that some 1985 box office grosses: Return of the Living Dead ($14 million); Friday the 13th part V ($22 million), Nightmare on Elms Street 2 ($30 million). The success of Fright Night led to nearly all future vampire films having a genre pastiche element. More teen films arrives (Lost Boys , 1987), along with vampire westerns (Near Dark, 1987 and From Dusk Till Dawn, 1996) and plenty of action movies mashed up with vampires (Blade, 1998 and Underworld, 2003). 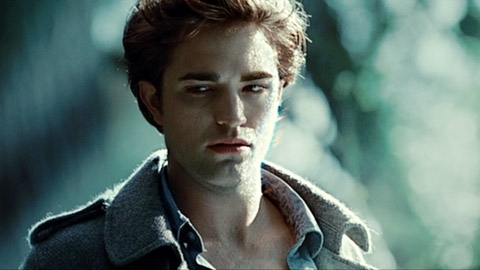 So what, you ask, has this got to do with the sparkling vampires of Twilight? It was inevitable that the romance genre would be combined with vampires. A long history of a vampire longing for a lost love existed. 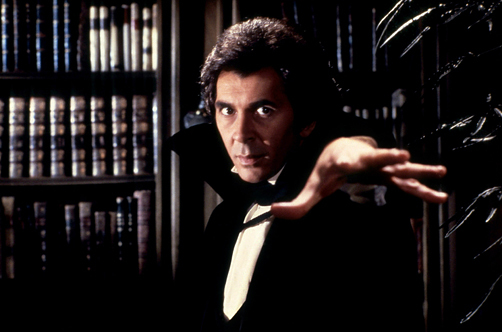 The 1960s television soap opera, Dark Shadows, was the first to have a romantic vampire with Barnabas. Several other movies carried this theme along, notably Blacula (1972) and Bram Stoker’s Dracula (1992). In 1991, The Vampire Diaries series featured Elena Gilbert, a human girl, who is only moved to passion by Stefan Salvatore, a vampire. These novels jump stared a whole industry of paranormal romance. The meshing of two popular genres: the supernatural and romance. It was only a matter of time before these popular books exploded onto the screen. The small screen for Vampire Diaries. And a four part movie series for Twilight. Vampires have so melded with romance, I doubt the two will separate. However, this doesn’t mean that different genre pastiches don’t await us in the future. Would people want to see vampire political thrillers (a bit like the Kindred)? Or supernatural detectives (like the X-Files)? The genre of vampires will not dies. It simply resurrects in different forms. To read more about how vampires have changed through the years, check out my book: The Changing Vampire of Film and Television. How times have changed. I recall playing tag in the schoolyard pretty much the way it’s always been played. One person is “it”. He tries to tag everyone else. No goal save running around like crazy. Now, my daughter introduced me to the twenty-first century version: Zombie Walk. One person is it (called a witch). Everyone else gets to be humans. The zombie/witch shambles along, trying to catch the humans, who shriek in mock terror. The zombie must touch a human and count up to the age of the human (an easy feat for a kindergartener). Then the human becomes a zombie and the game continues. Imagine how shocked our parents would have been if we were busting out this zombie tag in the 70s and 80s? Back then, zombies were pure horror. Remember Night of the Living Dead? That was the staple back then. Now, we have a film with a zombie romance: Warm Bodies. Additionally, there are even zombie picture books, like Zombie in Love (see my review of it here).